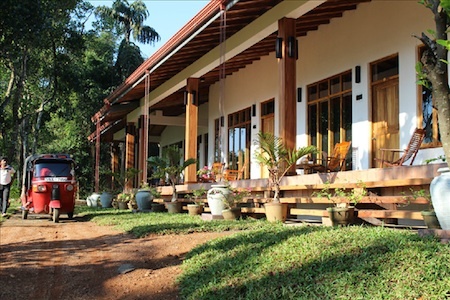 Centrally located, midway between Dambulla and Kandy, within Sri Lanka’s Cultural Triangle, these villas set on a 50-acre organic farm are full of rustic charm. The villas take their name from the owner Kevin’s father, Jim, who was a farmer in Suffolk, England for many years. It was he who inspired Kevin to create his own sustainable organic farm in Sri Lanka. 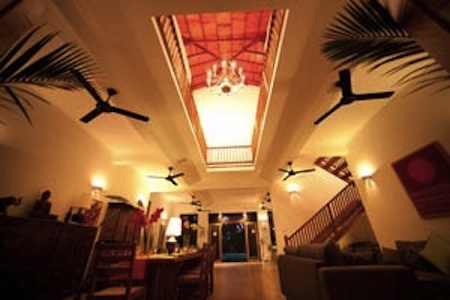 The property is divided into three villas – the Hilltop Villa and Mango Villas each have 5 bedrooms, and the Spice Villa has 4 bedrooms. The option is available to book either a whole villa, or an individual room, depending on your needs and the size of your group. 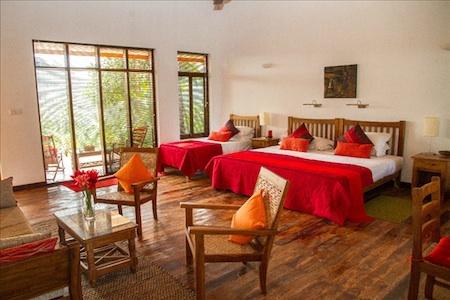 All of the bedrooms are tastefully decorated in a Sri Lankan style, with cool kumbuk wood flooring, vaulted wooden ceilings, lime plaster walls and traditional teak and rattan furniture created by local craftsmen. 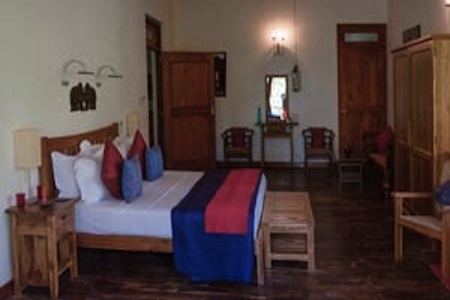 The rooms have en-suite bathrooms, solar hot water, air conditioning and fans, tea and coffee making facilities, hairdryer, bath and spa robes, and luxury cotton bed linen and towels. Thirteen of the bedrooms are located on upper floors but there is a single bedroom at ground floor level, suitable for those with limited mobility. All meals are prepared using seasonal, locally sourced produce where possible. 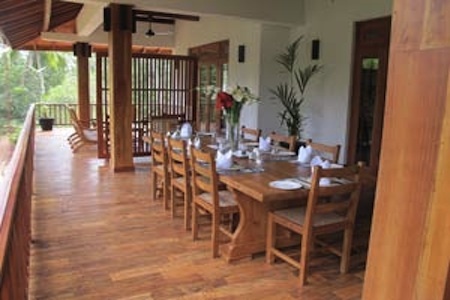 You can enjoy dinner in your villa or as a communal affair around a big table with other guests. 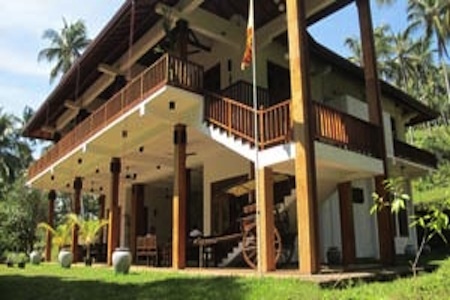 You may also like to try a Sri Lankan cookery lesson with our chef, including how to select the best ingredients for a traditional Rice and Curry from the Farm's vegetable and herb garden. 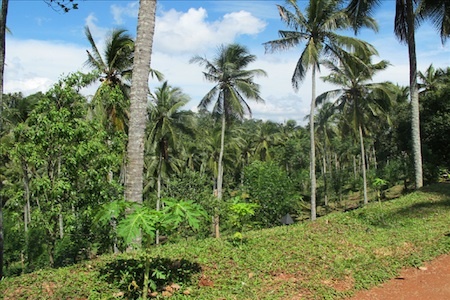 There is plenty to learn on the farm should you desire, including the organic method of cultivating coconuts, bananas, black pepper, mangoes, papaya, cinnamon, coffee and cocoa. The farm also has free-range chickens, and cows. It’s also a great spot for bird watching. More than 100 species have been spotted so far. Staff are happy to supply reference books and binoculars. Or you may wish to just relax by the pool, or treat yourself to a soothing massage, or other Ayurvedic treatment at our Bamboo Spa. 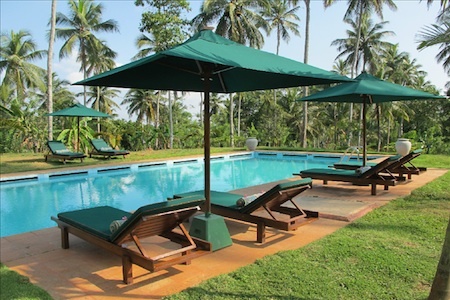 If you feel like a day trip, Jim’s Farm Villas are less than an hours drive from some of Sri Lanka's leading UNESCO World Heritage sites such as the Sigiriya Palace and The Rock Temples at Dambulla. 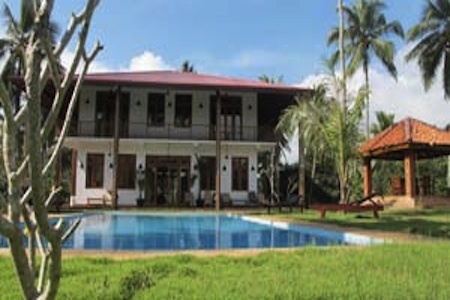 Jim’s Farm Villas also offers 10-day yoga breaks several times throughout the year.